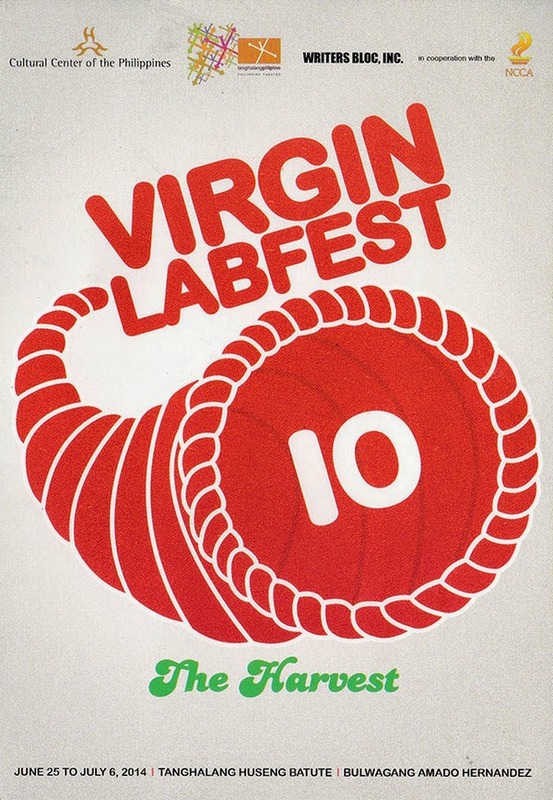 The Virgin Labfest 10: The Harvest will be held from June 25 to July 6, 2014 at the Tanghalang Huseng Batute of the Cultural Center of the Philippines. It is an annual festival of untried, untested, unstaged and unpublished plays. The Labfest has 3pm and 8pm shows. It is a project of the CCP in cooperation with the Writer’s Bloc, Inc. and Tanghalang Pilipino in cooperation with the National Commission for Culture and Arts. The Labfest is a much-anticipated theater event every year as it showcase exciting plots, mostly one-act plays of both veterans and upcoming playwrights. There are also three staged readings and a writing fellowship program. 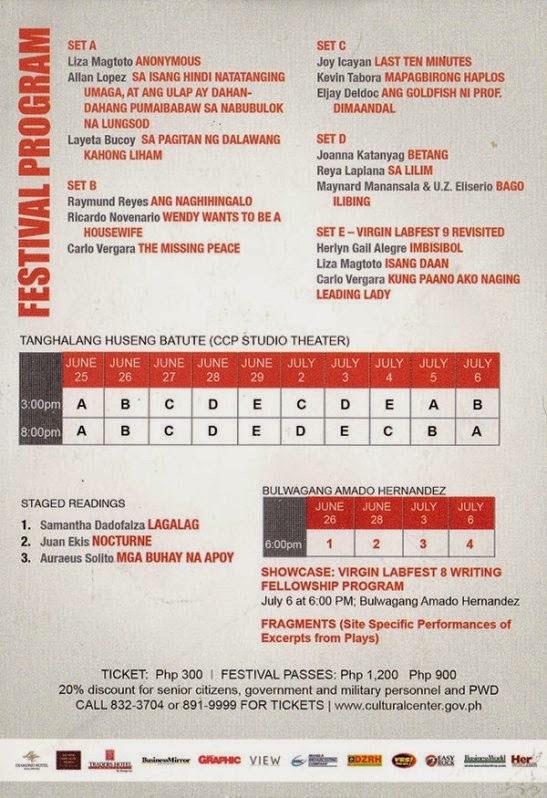 Here is the Virgin Labfest X complete line-up of plays (2014). Ticket rates to the Virgin Labfest are P250.00. For further inquiries, please call the CCP Performing Arts Division at (632) 832-1125 local 1607 or 1606.